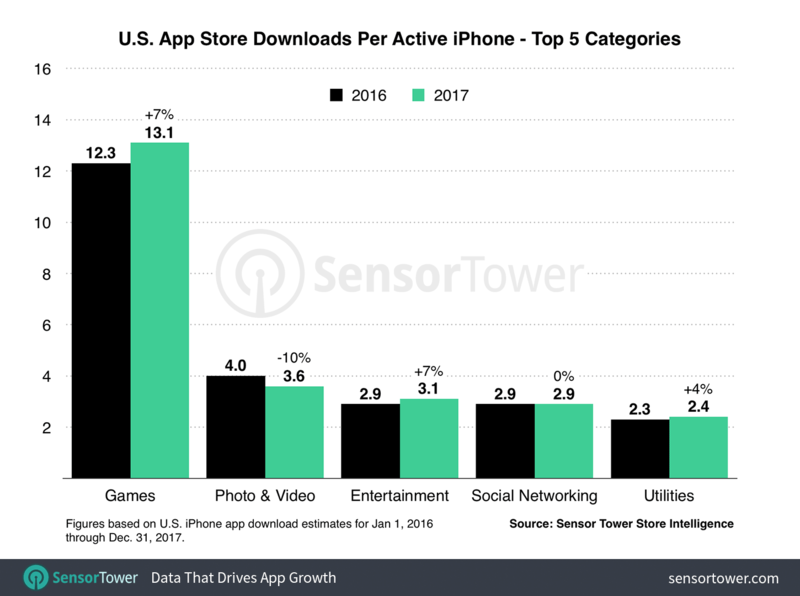 U.S. iPhone users spent 23 percent more on in-app purchases (IAP) and premium apps in 2017 than the year before, Sensor Tower Store Intelligence data reveals. The average amount spent per active iPhone increased to an estimated $58 last year, up from $47 in 2016. This spending does not include purchases made in shopping apps such as Amazon or payments to ride sharing apps like Uber, for example. 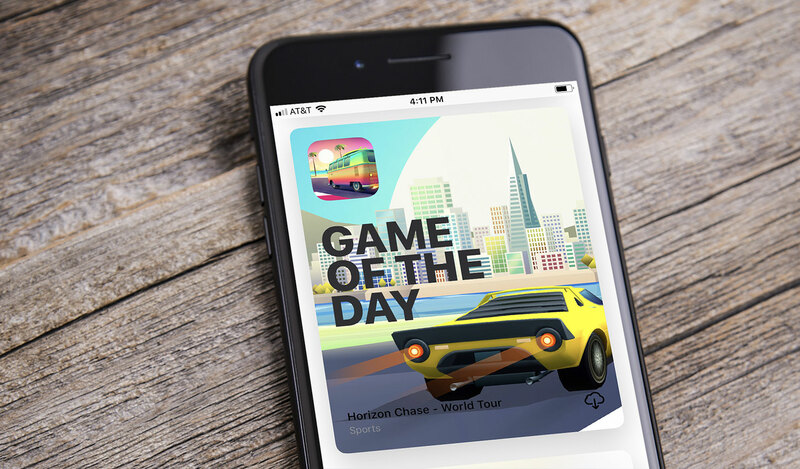 It does, however, reflect revenue earned by apps including Netflix and Tinder, not to mention the store’s ever-growing number of free-to-play mobile games, which once again represented the lion’s share of consumer expenditure. In the following charts, we’ll show how this spending broke down across the top earning app categories last year compared to 2016. 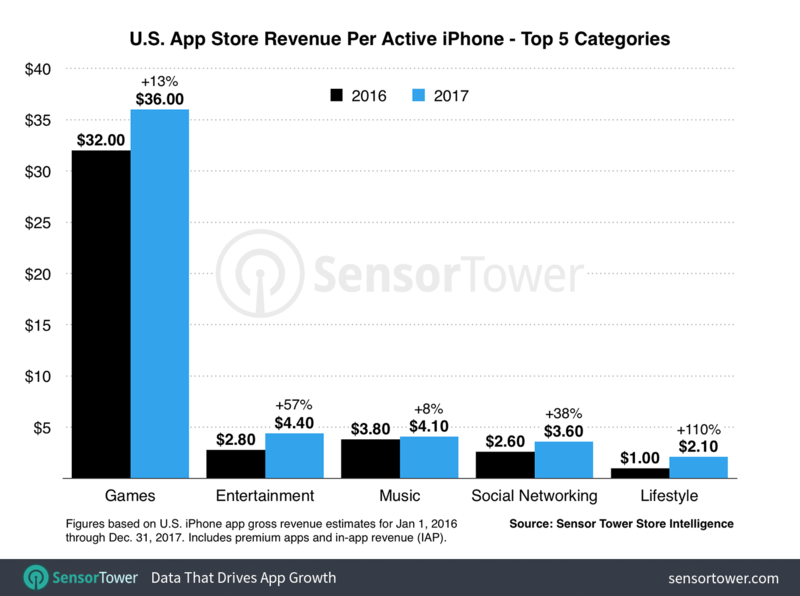 Among the top five largest app categories by U.S. App Store revenue last year, Lifestyle apps posted the most significant year-over-year increase in per-device spending, growing 110 percent—or more than double 2016—to an average of $2.10 per iPhone. Dating apps such as Tinder and Bumble, which more than doubled their annual revenue from U.S. iPhones last year, were among the top earners in this category. As we discussed in our 2016 analysis of per-iPhone app spending, the Entertainment category was that year’s big mover in terms of year-over-year growth, having increased by 180 percent over 2015. That said, while not as profound, last year’s growth was nonetheless impressive. These per-device metrics reflect trends we’re seeing on both app stores worldwide, including the growth in number of Entertainment apps released and the consolidation of Social Networking downloads around a handful of the largest apps, primarily those owned by Facebook. The downturn in Photo & Video installs per device is significant but not alarming, although developers looking to bring these types of apps to market should definitely take notice of the trend.